Description: Soft-surface footpath through the urban forest. Changes in elevation and natural surface of path make it not accessible to all users. Jacob Olson began training as a lead guard almost three years ago. During that time he has grown in leadership skills, making good decisions in keeping staff and patrons safe, and mentoring new staff. He is hyper vigilant as a lifeguard, spotting problem swimmers as soon as they begin to struggle. Jacob has made more rescues than any other guard on staff, and does an exceptional job being professional. 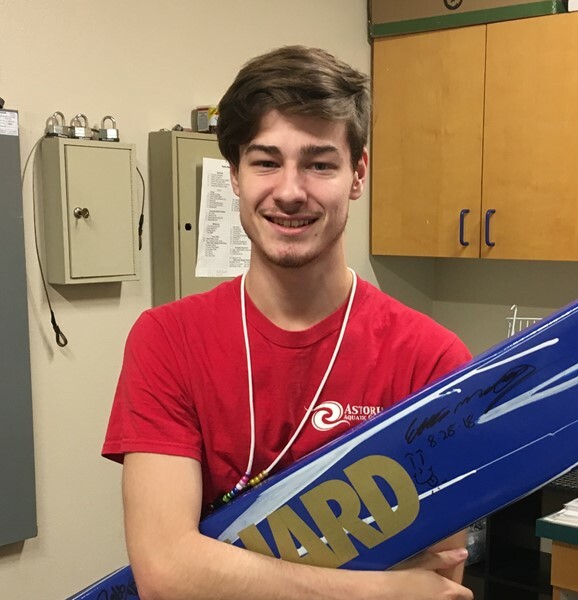 He has an impeccable record when it comes to attending staff in-service training and shows a sincere interest in training and improving as a lifeguard. Jacob models positive behavior for the lifeguards at our facility.